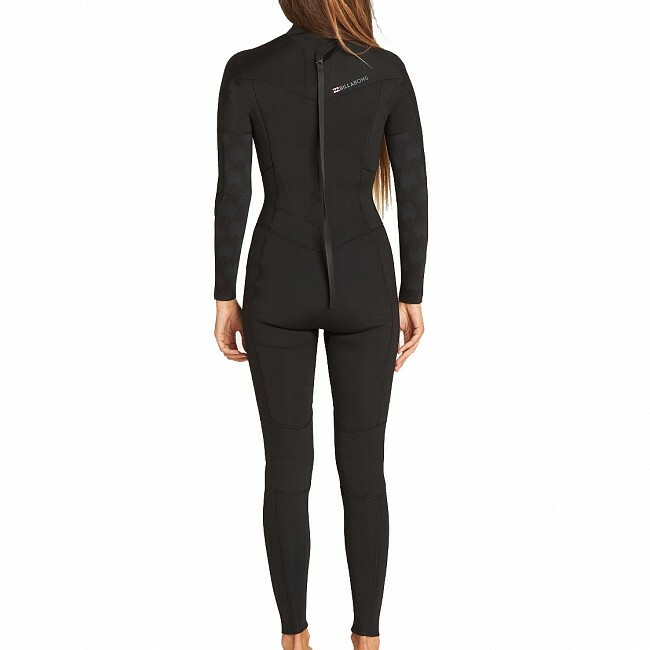 Allowing a bit of femininity into the lineup, the Billabong Women's Synergy 3/2 Back Zip Wetsuit treats you to both warmth and comfort. Separating itself with subtle style, reliable design and an amazing price point the Synergy has proven to be a workhorse of a suit for cooler waters. Offering incredibly stretchy Superflex Neoprene paired with hollow fiber thermal lined panels in the torso, you will have true maneuverability and long-lasting warmth. Constructed with a user-friendly back zip entry, hearty stitching and reinforced internally in stress points, the Billabong Women's Synergy Wetsuit makes a phenomenal option for any budget minded wave chaser.